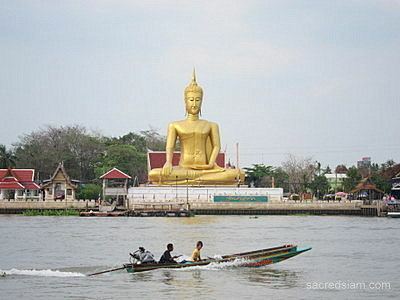 Nonthaburi (Thai: นนทบุรี, [nōn.tʰáʔ.bū.rīː]) is one of the central provinces (changwat) of Thailand, established by the Act Establishing Changwat Samut Prakan, Changwat Nonthaburi, Changwat Samut Sakhon and Changwat Nakhon Nayok, Buddhist Era 2489 (1946), which came into force on 9 March 1946. Neighboring provinces are (from north clockwise) Phra Nakhon Si Ayutthaya, Pathum Thani, Bangkok, and Nakhon Pathom. Nonthaburi is the most densely populated province after Bangkok. 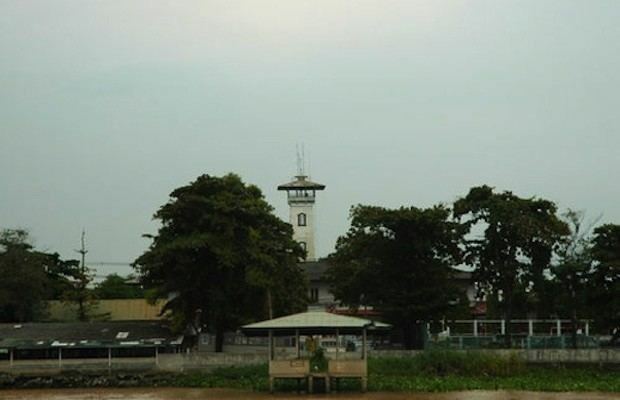 The Bang Kwang Central Prison is located here. 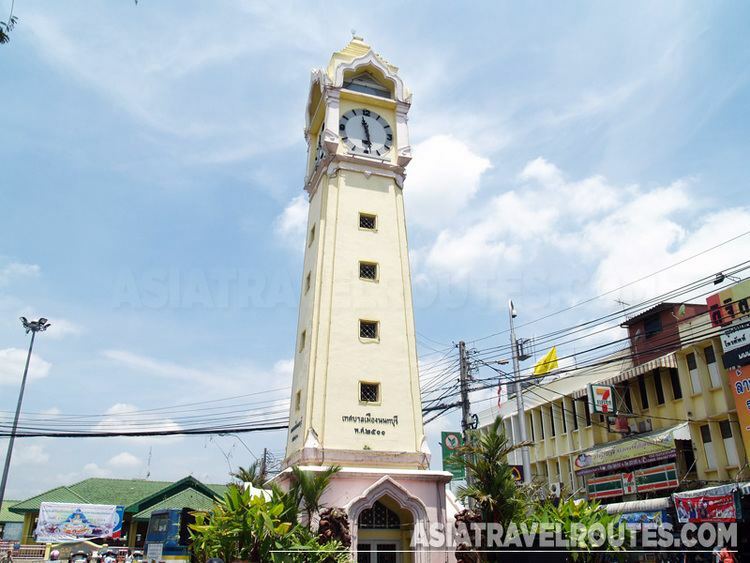 Nonthaburi was declared a city in the middle of the 16th century, which was previously a village named Talat Khwan. During the reign of King Prasat Thong, a canal was dug to create a shortcut for the flow of the Chao Phraya. The river changed its flow into the new canal, which is still the riverbed today. In 1665 King Narai built a fortress, as the shorter river course was giving enemies an easier route to the capital, Ayutthaya. The town was then also moved near the fortress. The provincial seal shows earthenware, a traditional product from Nonthaburi. The provincial flower and tree is the yellow flame tree (Peltophorum pterocarpum). The provincial slogan translates to Grand royal mansion, renowned Suan Somdet, Ko Kret's pottery, famous ancient temples, tasty durians, and the beautiful government office. The royal mansion refers to Phra Tamnak Nonthaburi in Mueang Nonthaburi District, the residence of Prince Maha Vajiralongkorn. Suan Somdet is a water garden in Pak Kret District. The provincial administration building once received an award as the most beautiful such building by the Ministry of Interior. Nonthaburi Province is renowned for growing the best durian in the country. The best durian farms are next to the river. Durian has been a well-known fruit in this province for 400 years. The fruit is known as "durian Nont" which means durian from Nonthaburi Province. It is also known as the most expensive durian in the world. 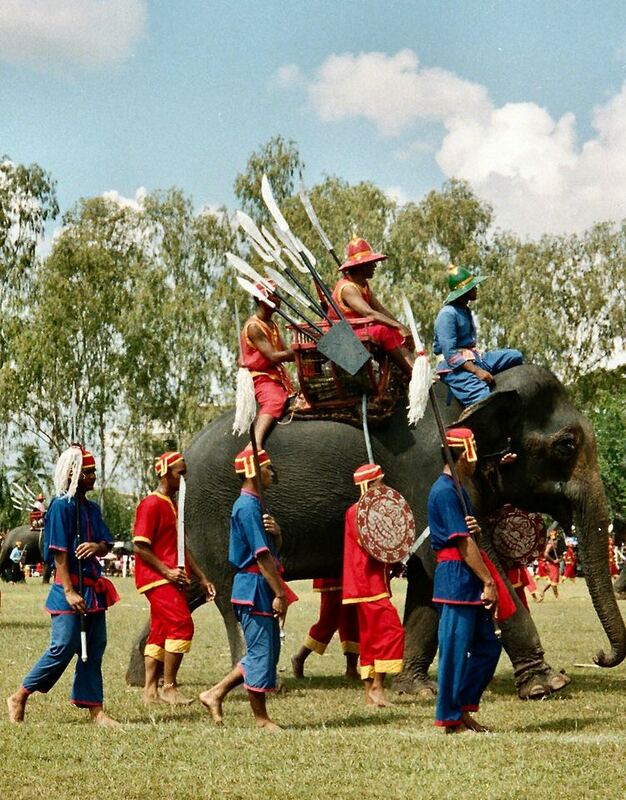 There are six groups of Nonthaburi durian which are Kop, Luang, Kan Yao, Kampan, Thong Yoi, and miscellaneous. Most durian orchards are near rivers such as the Chao Phraya. This is because the soil next to the river is good for planting which is also good for durian trees. However, the majority of durian orchards have disappeared because of flooding and pollution. The price of durian Non depends on its group. Kan Yao is the most expensive, starting from around 10,000 baht and can be up to 20,000 baht (or about US$600) for one durian. The Kan Yao itself is not easy to find in normal markets. The main reason for the high price is because it is rare. The recent flood in 2011 cleared out almost all of the durian trees in Nonthaburi, and only a few trees have been newly planted. Also, residential areas are expanding into agricultural areas. At the end of 2009, Nonthaburi Province had a population of 1,078,071 people, 507,972 male and 570,099 female.